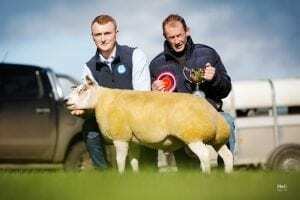 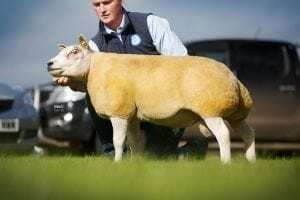 A shearling tup from Alasdair MacLean’s Tiree flock topped the Beltex Scotland club sale held at United Auctions Stirling which saw all the tups forward heading for new homes. The sale topper, from the flock based at Heylipol Farm, Tiree, was Tiree Coco, a Gregor’s Brutus son out of Morton’s Ruby and sold at 1200 gns to W & E Stevenson, Coilavoulin, Pitlochry. Ian Campbell, Meikle Seggie, Kinross, who judged the show, chose as champion Morton’s Chico-time, a Morton’s Buzz Lightyear son out of Morton’s Alice. He backed up his choice by forking our 800gns for his champion which came from Andrew Morton, Lochend, Denny. 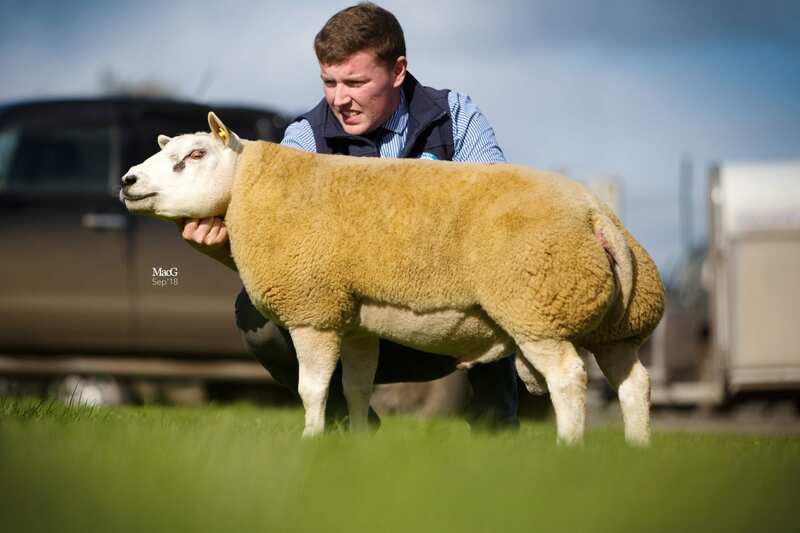 Three tups went under the hammer at 900gns with Ian Reid, Isle Cottage, Methven, Perth selling two of his Osprey pen at this money. 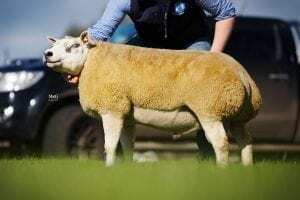 The first, Osprey Clive, sired by Kingledores Wolfman out of Osprey Sophie headed to Islay with Messrs Porter, Carrabus Farm, Bridgend. 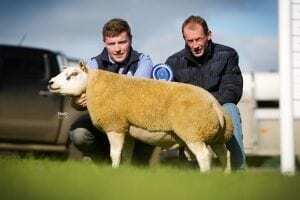 The second, Osprey Connor, by Procter’s Aerosmith out of Osprey Anne, sold to Messrs Miller, Drumharrow, Luncarty, Perth. DS & RC Taylor, Ochtermuthill, Crieff had the third 900gns sale for Ochtermuthill Cactus, an Aviemore Atwood son out of Ochtermuthill Winnie, selling to J Little, 2 Keltie Bridge, Callander.